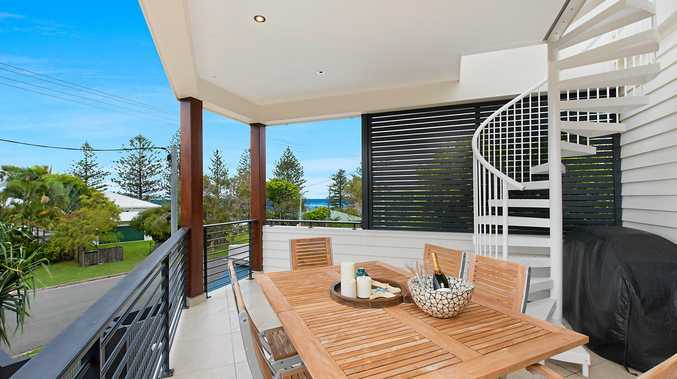 IT'S BIG and it's beautiful; 2 Mackay St, Dicky Beach, is an awesome, architecturally-designed residence according to Andrew Garland of Ray White Caloundra. "The home is built to a very high standard and while it presents as brand new, it was constructed five years ago." 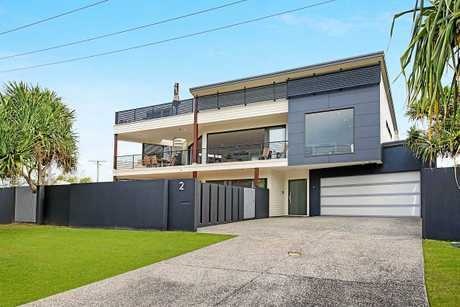 Just metres to the beach, the large house sits on a low-maintenance 584sq m block. The finishes are modern and the aspect north. "Dicky Beach is patrolled and then there's Moffat Beach, just down to the right. So you have the best of both worlds. "Amounting to 400sqm under roof, the luxury beach house also has a roof deck for viewing the ocean. "The owner wants it sold and is hoping that will happen today." 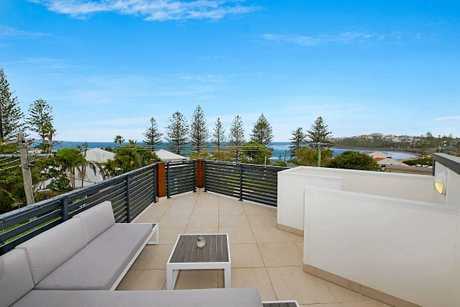 Open for inspection Saturday, April 18, from 5pm, 2 Mackay St, Dicky Beach, will be introduced to the market on-site at 5.30pm.